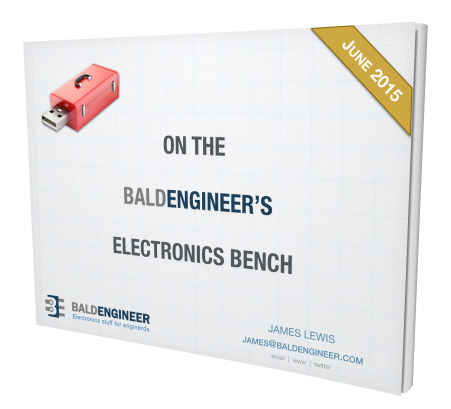 Getting started with electronics always involves a discussion of Ohm’s Law. What is this mysterious sounding law and how can you use it when building electronic projects? One the main uses for Ohm’s Law in your projects is to calculate the resistor value needed for a LED. This article takes a look at what Ohm’s Law is and how to use it with LEDs. As discussed in my introduction to LEDs (found here), you should always limit the current when using LEDs. The simplest method, but least efficient, is to use a resistor in series with the LED. Let’s use the example of connecting a LED to a pin on the Arduino. When you are trying to find a current limiting resistor for a LED, you know two things about the “circuit”: the voltage applied to the resistance and how much current is flowing through it. When selecting a resistor for a LED, you generally know two things: Voltage and Current. Here’s how you determine each. The main voltage of an Arduino Uno is 5V, which means the pins will output approximately 5V when configured as an OUTPUT and set to HIGH. So we know the voltage. Now, what we need to calculate is the voltage drop of the current limiting resistor. Since the resistor and LED are in series, we subtract the Forward Voltage of the LED from the Supply Voltage. Tip: The forward voltage of a LED will depend on its color. We know the pin is 5V and in this example our LED has a forward voltage of 2V. This means the Voltage across the resistor is 3V. Typically when people use LEDs in their projects, they’ll use the maximum forward current allowed by a LED. It isn’t necessary to use this value. Backing away from the maximum will reduce the brightness of the LED and extend its life. Since most people use the max, and typical LEDs are around 20mA, we’ll use 20mA for the current. This means the Current flowing through the resistor is 20mA. So our resistor will have 3V dropped across and 20mA through it. 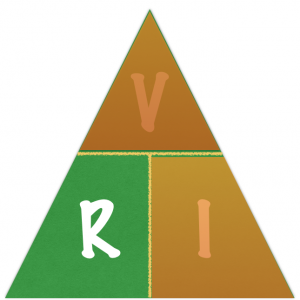 Using the Ohm’s Law Triangle, here’s the information we know. Which gives us a resistance of 150Ω! 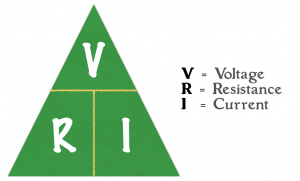 Calculating the resistance value of a current limiting resistor is just one use of Ohm’s Law. You could also use the reverse to determine how current is flowing through an LED. Now, keep in mind, that Ohm’s Law always applies, but not in ways you might expect. The properties of Ohm’s Law is straight foward for a device like a Resistor. However, active devices like Microprocessors aren’t simplistic enough to just use Ohm’s Law to describe their behavior.